After completing shoot on his maiden India project Beyond the Clouds, which is all set for its London premiere this month in the competition category, the Iranian director extraordinaire Majid Majidi is already getting set to begin work on his second film which will once again be entirely based in India. 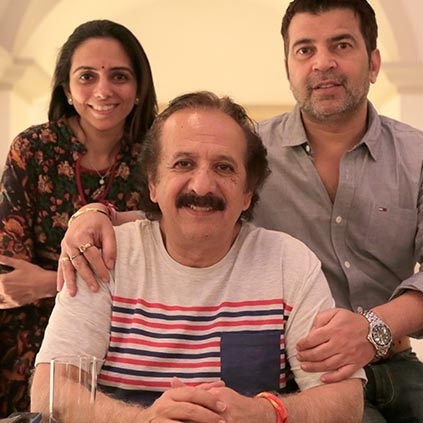 Talking about his second Indian project, Majidi says, "I have always believed that India has so many stories to tell within its myriad cultures of people from a different milieu. The ambiance of India is just magical, truly incomparable to any other country. Within that ambiance, exists an incredible relationship between human beings and nature. The undying spirit of people and their hope for life despite their hardships is unbelievable. That's what really inspired me to shoot my next film in India once again and thereby be the narrator of this effort of men, women, and children whose love for life encourages them to stay strong and rise above any hurdles that come in their path. I'm glad that I'm once again going to collaborate with Shareen and Kishor at Namah Pictures who are a good team and very professional in their approach." The casting for the film begins in two months and the shooting will be going on floors mid-2018. Its this big gun from USA for Vijay's Mersal! People looking for online information on Beyond the clouds, Majid Majidi will find this news story useful.